The heart of our “Fake Hammock” has been torn out. 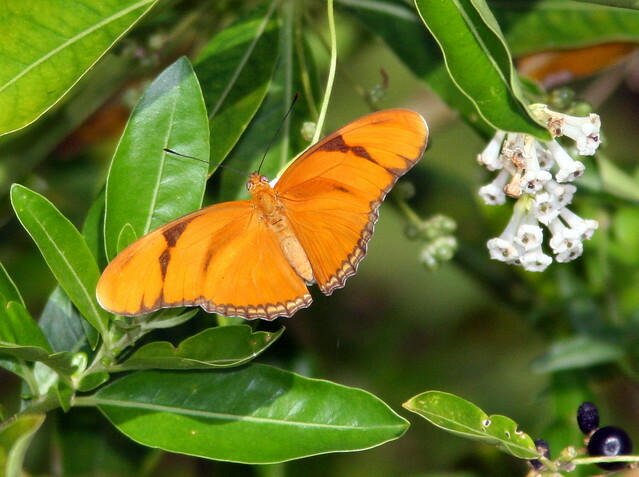 Note that the cluster of small trees in the background no longer is shaped into a gentle mound. Instead, there is a deep gash in its very center. Only a year ago, I could sit in this spot in deep shade, an open area under the dense canopy. Then, kids and even their fathers ravaged this quiet spot, pulling down mature trees with chains and driving their four-wheelers into its center. Now all five of the largest trees in the center of the “hammock” have been destroyed by the partying off-road vehicle drivers. 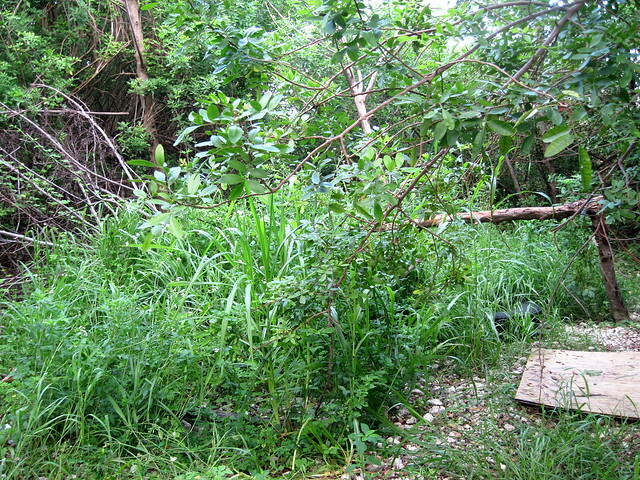 The felled trees were all native Tremas, an important winter food source for wildlife in south Florida. Formerly a sparsely vegetated open area underneath the canopy, my secluded sitting spot is now in full sunlight and invaded by grasses and vines. They hide the fire pit that was fed by the trunks of the felled trees. Florida Trema fruit is ripening on another tree along the path about a hundred yards away. 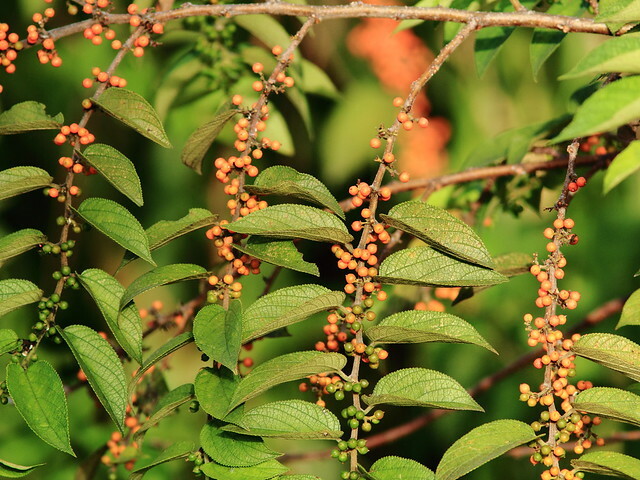 Note that the berries are in various stages of ripening. This goes on all winter, and a birds are attracted whichever of the trees has the richest bounty. 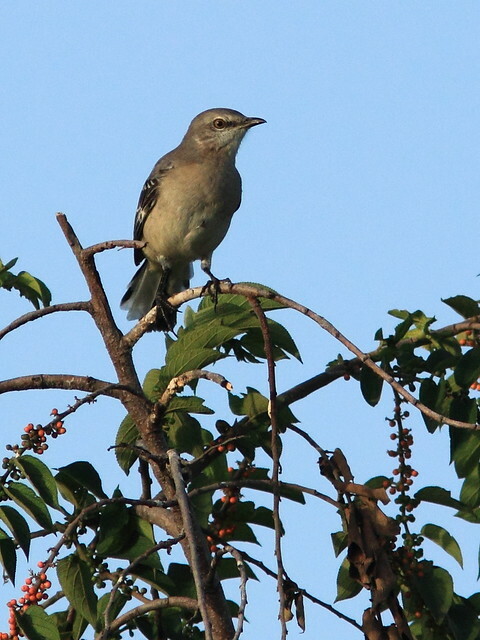 Several bird species, including this Northern Mockingbird feast on the Trema berries. 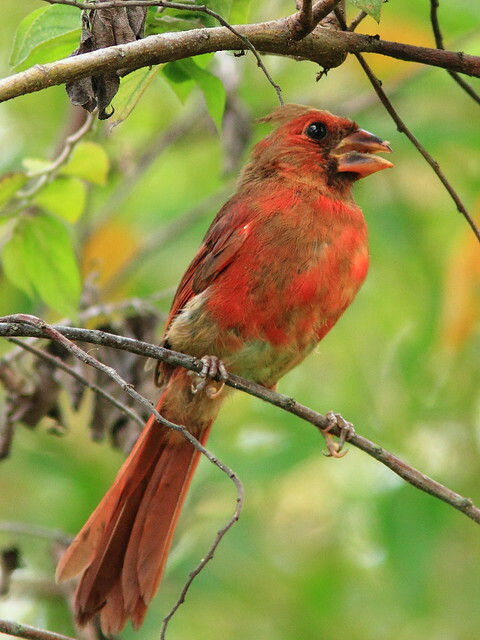 A young Northern Cardinal swallows one of the fruits. Its dark bill is turning red and it is molting into adult male plumage. 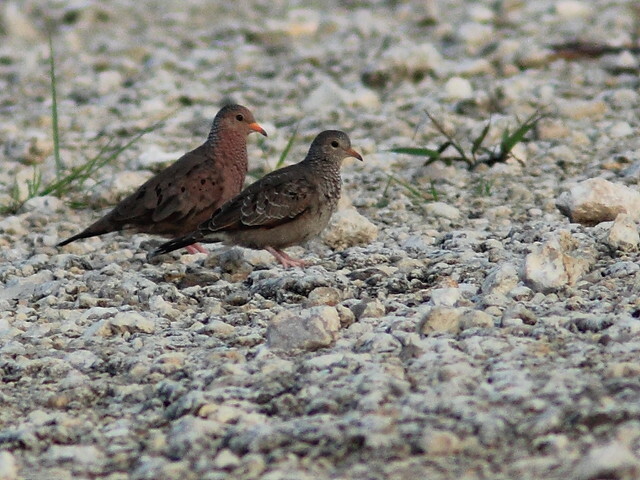 Common Ground-Doves forage along the unpaved roadway. They often visit the Tremas. 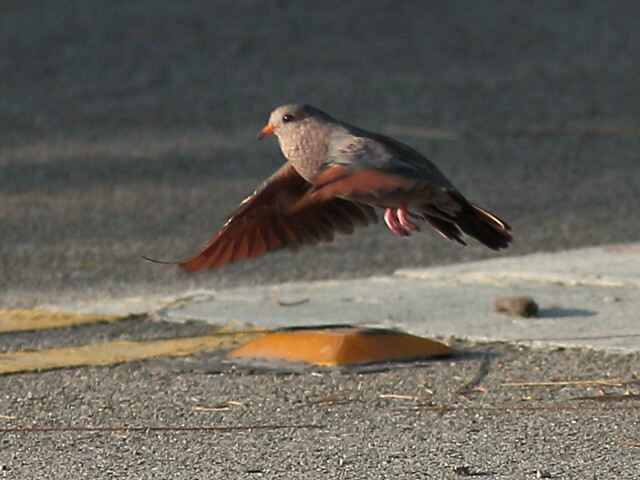 A Common Ground-Dove in flight shows off its bright reddish flight feathers. 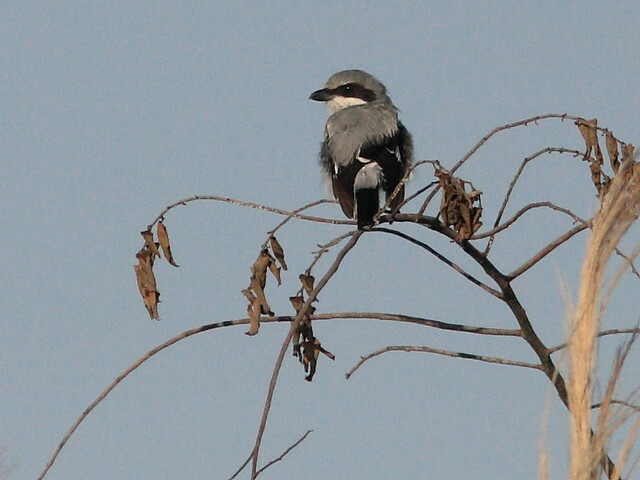 Loggerhead Shrikes have not been as numerous this summer. 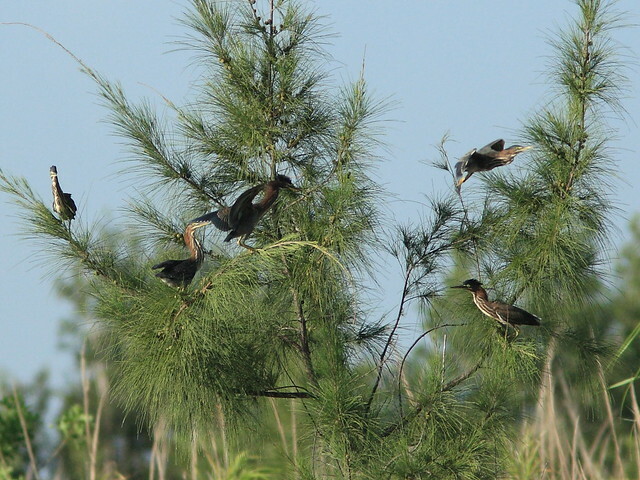 This gathering of five immature Green Herons is unusual. I have never seen that many together in one tree, in this case an exotic Australian Pine. 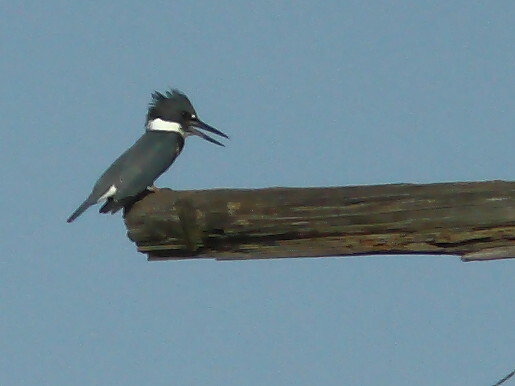 The first Belted Kingfisher of the season. The highlight of our few excursions was our first migrating fall warbler, a Northern Parula male in beautiful condition. 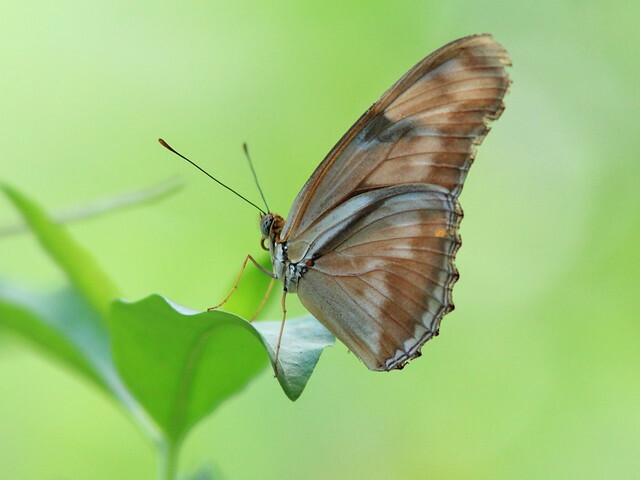 Not to be overlooked on a slow birding day is this female Julia Heliconian butterfly, its camouflaged underwings closed to cover the bright upper sides. 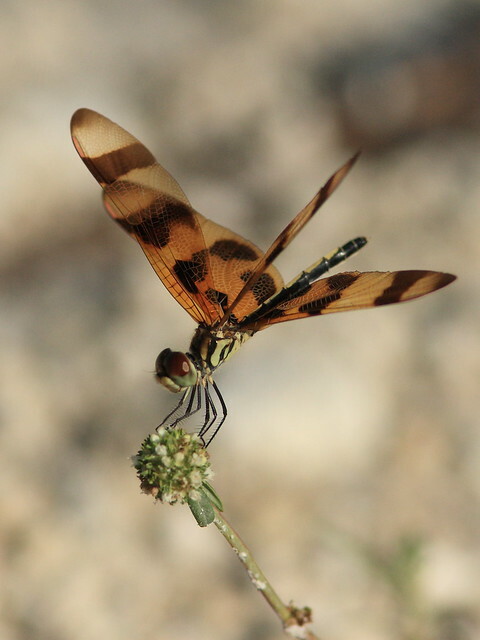 Here is a top view of a Julia female. 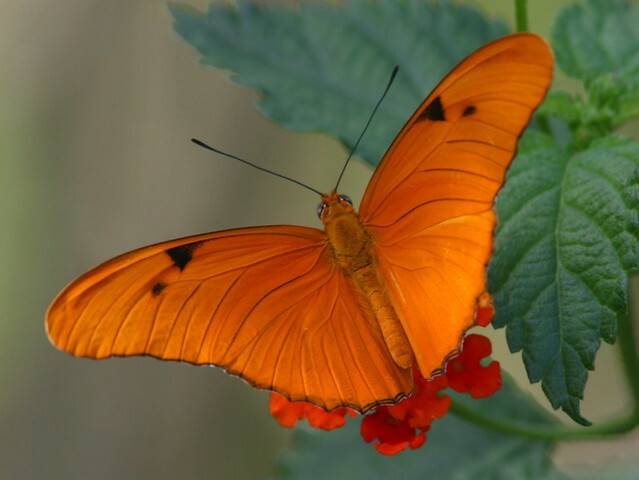 The male Julia is much brighter. 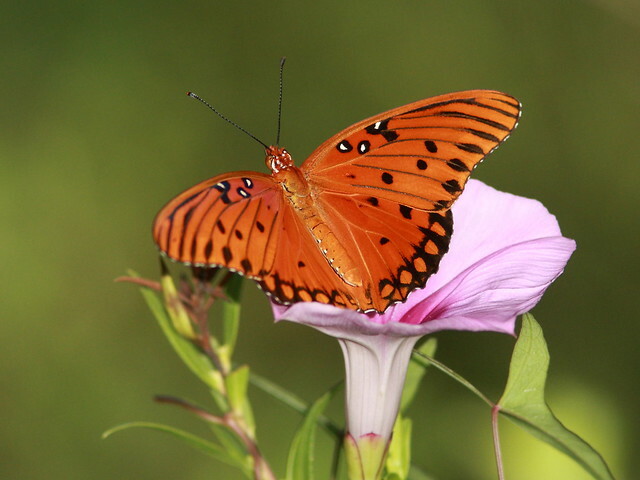 Another colorful butterfly is this Gulf Fritillary, on a Morning Glory flower. Halloween Pennants are very common all summer. The grackles catch and eat them by the thousands. 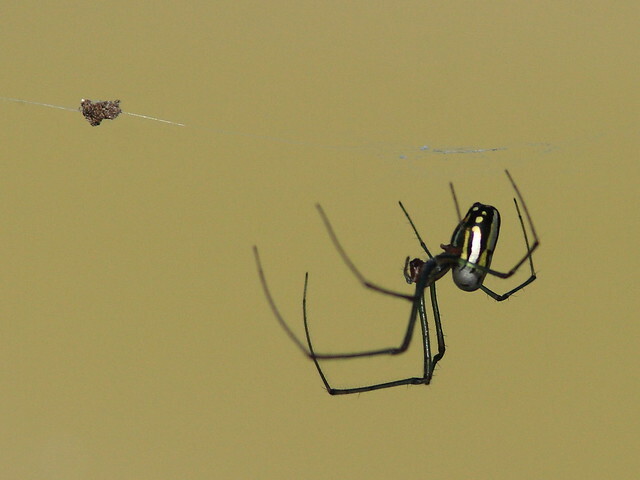 An Orchard Spider exhibits an interesting color pattern. August 21st, 2012 at 3:59 pm Another great post, Ken! The birds are all gorgeous. The heron tree is my favorite and I love the Northern Parula. Fantastic photos. August 21st, 2012 at 4:18 pm Really beautiful shots! August 21st, 2012 at 4:31 pm The little warbler (Northern Parula) is especially beautiful. Unfortunately we have similar problems with off-road vehicles out here. btw the tree you are calling an “Australian Pine” is certainly not dignified with that name out here. It is only a “She-Oak”! (Allocasuarina) Exotic species usually become a nuisance so I don’t know why gardeners still want to plant them. August 22nd, 2012 at 5:16 am Beautiful series!! I’m saddened by any ATV destruction. Boom & Gary of the Vermilon River, Canada. August 22nd, 2012 at 2:21 pm Ken, I am devastated at the loss of your “fake hammock.” Was there no way to stop these hooligans? All of your images are excellent, as usual. 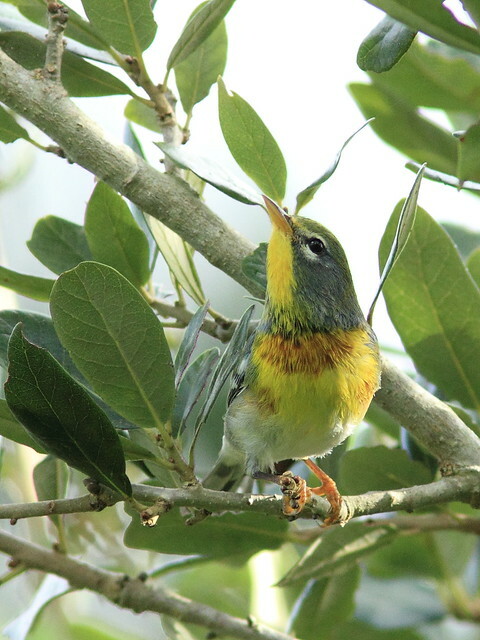 I am especially fond of the Northern Parula and the Orchard Spider. I’m wondering if a Green Heron pair had a very successful nesting of five young? Very cool! August 30th, 2012 at 5:46 am Thanks, all! @ Meggy– I can’t get past your Captcha Code to post comments on your beautiful blog. Must be my aging eyes!